Lightning is suspected to be the cause of a 2-alarm fire that charred the roof of a Nahant, Massachusetts home early Monday. Nahant fire crews responded to the blaze at 2:15 a.m. on the 100 block of Flash Road. Fire officials said the roof of the two-story home was ablaze. After two hours of battling the flames, firefighters were able to douse the threat. The second floor and attic of the home were damaged in the blaze, according to fire crews. 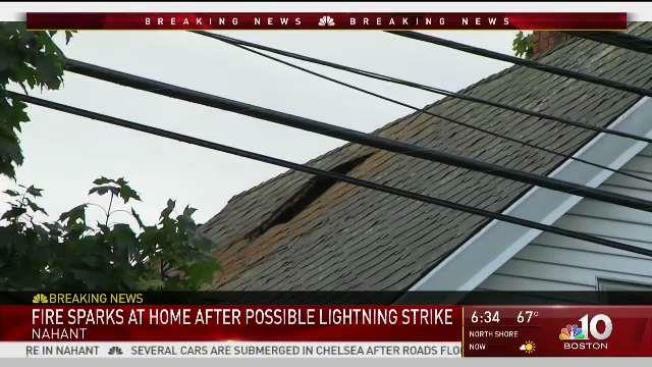 The home’s occupant was able to escape after being awakened by the lightning.